Just about every day I open the paper and read about some new technological or business development regarding driverless cars. Most of these stories come with breathless anticipation of all of the great things that autonomous vehicles will bring: fewer crashes, less congestion, more access for people who can’t drive. In some authors’ telling, personal car ownership will quickly become a thing of the past, replaced by electric “robo” taxis called up on a moment’s notice, paving the way for a clean, low-emissions transportation future. But the transition to autonomous vehicles could play out in much less positive ways. Imagine a big entertainment or sporting event in your city with a miles-long parade of empty self-driving cars endlessly circling around the venue and jamming up nearby neighborhoods because their human owners don’t want to pay for parking. The convenience of being able to work or sleep while commuting has spurred a new round of far-flung exurbs. Most of these cars are gasoline powered, and they are driven so much that the transportation sector’s energy use and emissions skyrocket. Robin Chase, the founder of Zipcar, coined the idea that these vehicles could lead to a “heaven” or a “hell” scenario: "In an AV world, where we won't actually need to be doing the driving ourselves, each and every errand whim we might dream of is now a reality. If single-occupancy vehicles are the bane of our congested highways and cities right now, imagine the congestion when we pour in unfettered zero-occupancy vehicles." (Chase, 2014). 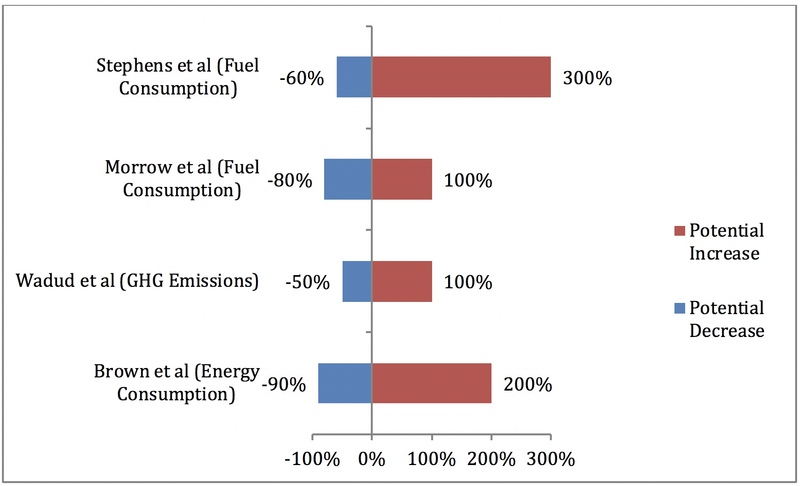 Analyses by academic researchers and federal labs (here and here) have found that the transition to self-driving cars (also called Autonomous Vehicles or AVs) could drastically change America’s energy use and emissions – from a 90 percent reduction in the most optimistic scenario all the way a 300 percent increase in energy use – depending on which vehicles we use and how we use them. 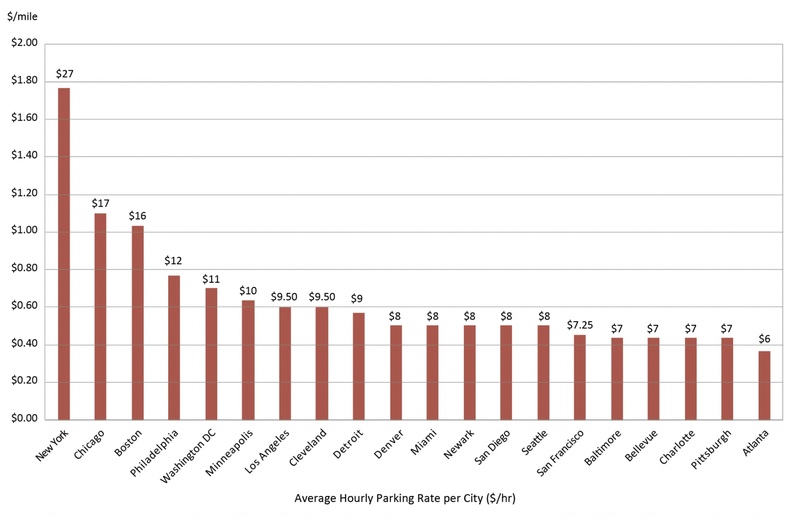 To illustrate just one of the challenges, consider this: in downtown Denver, the average parking rate is $8 per hour. So, unless it costs more than $8 per hour to operate your vehicle, most individually owned AVs will likely be programmed to cruise the streets instead of parking. A community could discourage this unnecessary congestion by charging a fee approaching 50 cents per mile for empty vehicle travel. Creating such a fee would generate revenue, discourage empty vehicle traffic, help spur new business models where people rent out their vehicles when not in use; and potentially accelerate a transition away from personally owned vehicles. In denser cities with even higher parking fees (such as New York City) the required empty mileage fee would need to approach $1.80 per mile. *Zero-occupancy mileage calculations assume average city travel speed of 15 mph. Or consider this: while Waymo is leading the way with its purchase of tens of thousands of plug-in hybrid electric vans and all-electric SUVs for the company’s AV ride-hailing services, and GM clearly has said that it plans to deploy all-electric AVs, other automakers such as Ford and Hyundai have stated that they do not expect all AVs to be electric. Given that AVs could potentially spur vast increases in vehicle miles traveled (VMT), self-driving cars also will greatly increase U.S. energy use and emissions unless cities and states adopt rules or incentives to ensure that these autonomous vehicles are electric-powered. And given this wide range of possible outcomes, it is incumbent on communities to start putting common sense policies in place that will – pardon the pun – DRIVE autonomous vehicle deployment in the “heavenly” direction. I have recently published a paper (co-authored by my colleagues Mike Salisbury and Matt Frommer) exploring some of the potential impacts of AV adoption, and a range of policies that state and local decision makers could consider. Create vehicle miles traveled (VMT) fees for AVs and ride-share vehicles that vary by vehicle occupancy, with higher fees for vehicles that carry no passengers. 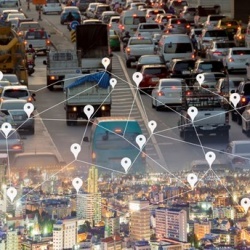 Autonomous vehicles offer tremendous promise for increased safety, increased mobility, reduced vehicle ownership, reduced parking demand, and increased levels of carpooling. But AVs also could worsen traffic congestion, vehicle miles traveled, energy use, and emissions. There are enormous uncertainties in how the industry will develop. State and local governments, however, have the opportunity to take the lead in developing policies that encourage a shared, electric future for autonomous vehicles – and cleaner air and safer roads for all of us.